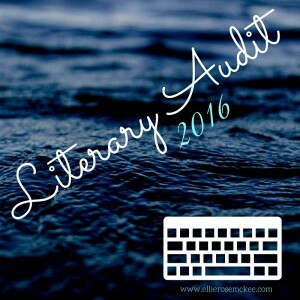 How does one conduct a literary audit? I used a spreadsheet with several tabs, and way too many midnight hours. To date, I have self-published six books – kinda. Two of them are photo/art books, which some people might not consider real books at all, and one of them has been released both as two separate eBooks, and as a single combined print edition. The specifics of all that don’t really matter here, IMHO. Let’s just call it six books. Two further photo/art books are in stages of preproduction – one for release this year, and one for (hopefully!) next year. I have eleven novels living in my brain. Which, yeah, that sounds like a weird sentence. But what I mean is that I have the ideas for eleven specific novels – right down to plots, characters, and even titles – which I haven’t actually written yet (beyond a brief online, in most cases. Some have had more work than others, but most have had very little). I have thirty-two short stories (including flash fiction) living on my computer – all complete except for three, one which is technically complete but needs a re-write, and most already published; the rest (of the completed ones) on submission. And then there are the poems. They’re what I’ve spent most of my time cataloging out of this whole process. With pretty much all of my teenage poetry (thankfully) not in existence anymore, I had a total of two hundred and fifty poems on my computer – stored in a single folder. Some of them with similar names, and many of them I couldn’t even remember writing. It was a mess. But, now, I have them in alphabetized folders, and listed by theme in my spreadsheet. Doing that, I could see that roughly eighty of them have already been published (and some of those several times over!). The most prevalent themes in my poetry are Love/Relationships, Mental Illness/Mental Health, Life, and Sleep. I’ve even written several poems about the act of writing poems which, again… kinda weird, I’ll admit. But those are the facts. Digging through your archives, can you find anything you’d forgotten about? Tell me in the comments, below. EDITED TO ADD: None of these facts and figures take into consideration my fan fiction, as it’s covered in a separate post that comes out at the end of July, each year (view last year’s here). The Cliff Notes, though, is that I’m close to finishing my third novel-length fic, have completed well over forty short stories, and have a further forty ideas (for stories of various lengths) still waiting to be penned (some of those even including poetry). Like I said, more on that in July.